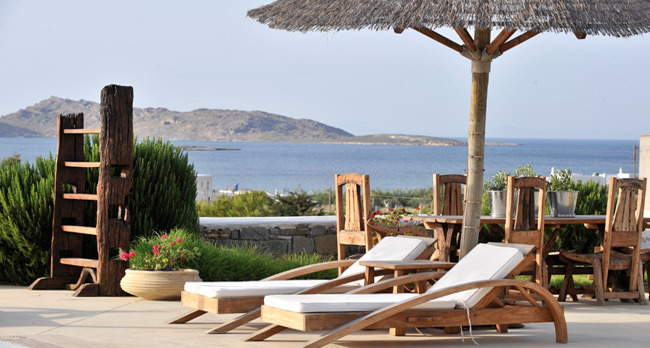 The Resort is just 1.5 kilometers from the beautiful town of Naousa and 500 meters from Naousa bay , in the warm, friendly and comfortable atmosphere of our complex Anemoi Resort, you will find sincere and personalized care for your needs and preferences. 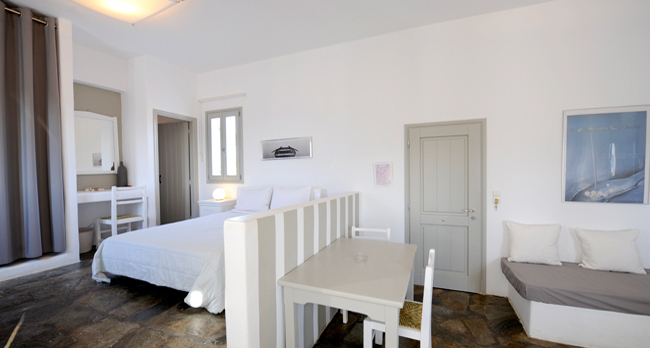 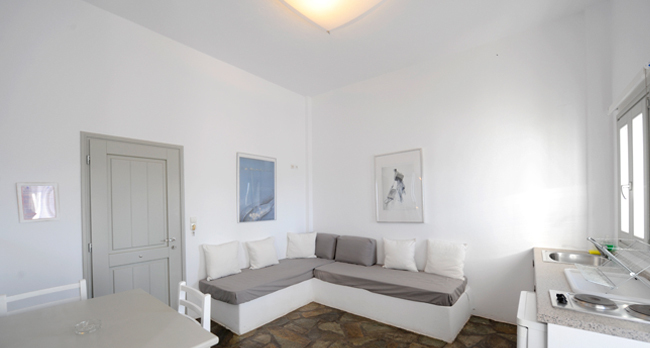 We truly wish to make your vacation in Paros Greece a time to remember. 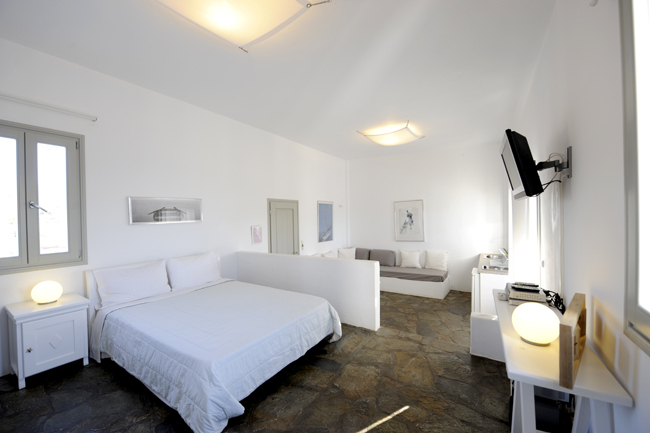 Anemoi Paros Resort consists of six different apartments, built in according to the cycladic architecture, all with sea view, and there to welcome you. 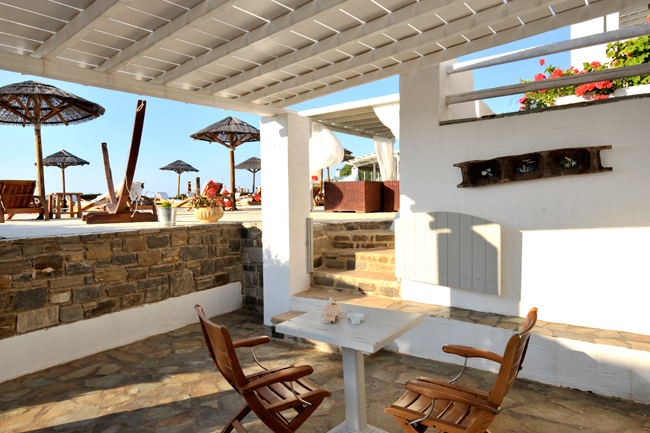 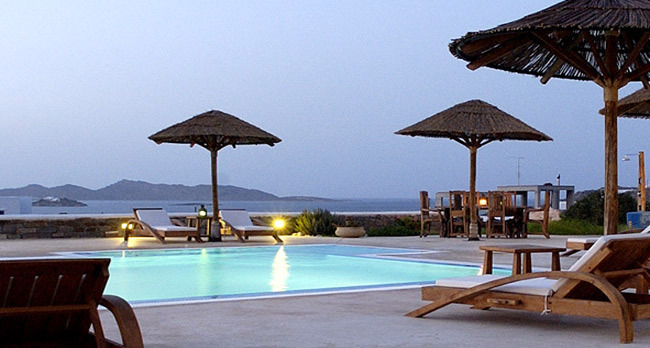 Easy access from the Port of Paroikia and the airport of Paros. 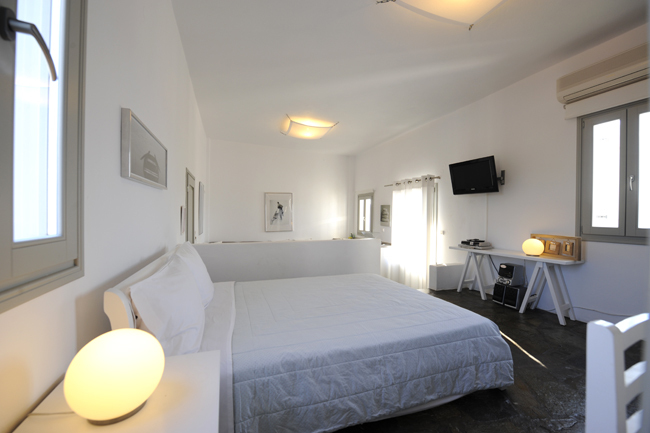 The cosmopolitan town of Naousa, with its lively night life, is close to our complex. 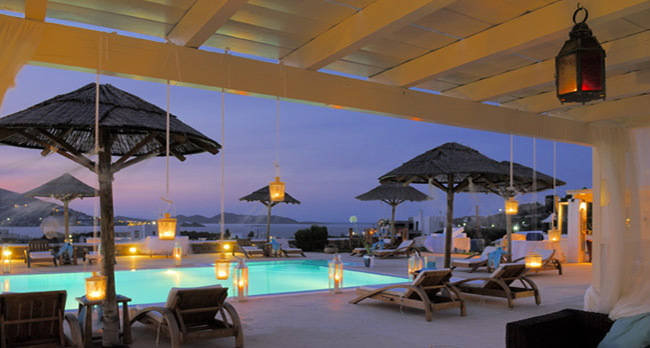 Our visitors may choose, depending on their mood, a memorable evening out, or the relaxed atmosphere of our premises. 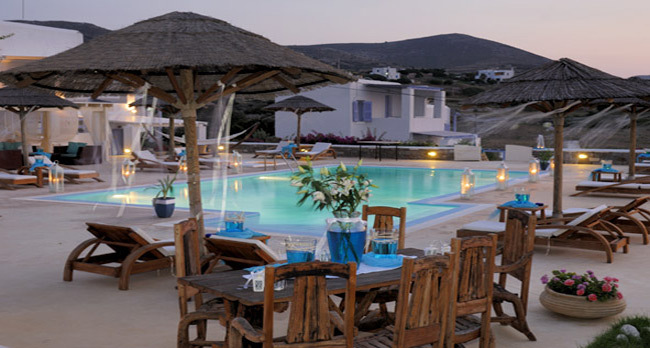 The small port of Naousa, surrounded by quaint taverns and night clubs has been characterized one of Mediterranean�s most picturesque sights.